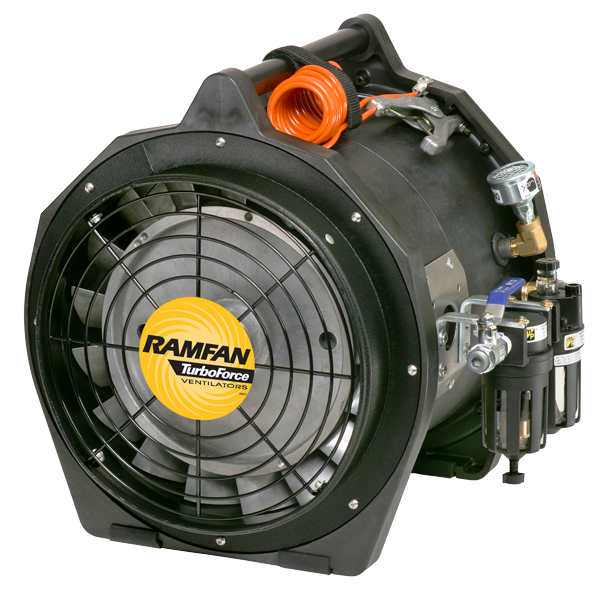 The air driven AFi75XX (12”/300mm) is engineered specifically for hazardous work environments. It is suitable where explosive atmospheric conditions make intrinsically safe equipment a requirement. The ABS anti-static housing is corrosion and chemical resistant. Certified for use in hazardous atmospheres. 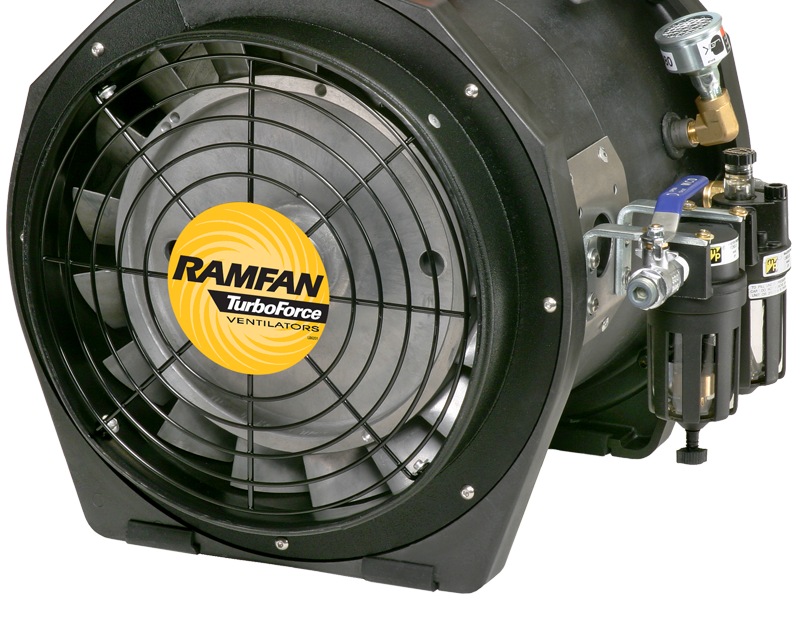 Includes two integrated duct adapters and a static grounding cord. Complete with filter motor lubricant and air control valve.